Gamba grass poses a significant threat to life, property and nature in Top End. It’s wiping out whole ecosystems and sending firefighting costs spiralling out of control. Gamba fires also threaten the safety of firefighters sent to battle increasingly intense and destructive wildfires. Many landholders are working hard to remove gamba from their properties, but they can’t do it alone. 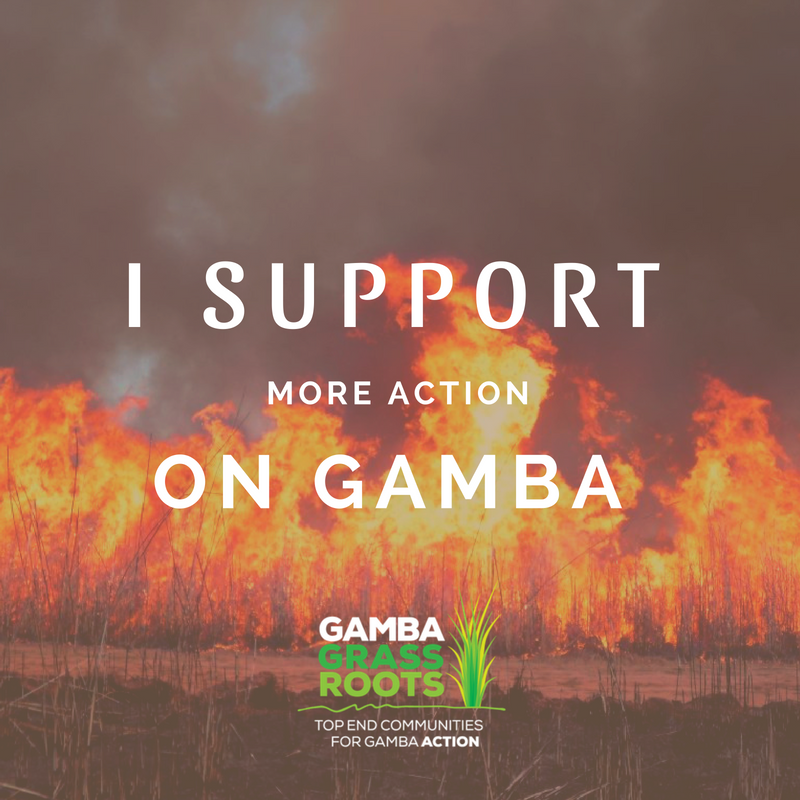 We urgently need to see more investment by the NT Government to stop the spread of gamba and reduce risks to life and property across the Top End. 2. Taking responsibility: ensure that your own property is gamba free, and stays that way.